Barbeque Buffet with unlimited draft beer, free swimming pool access, live entertainment by comedians Park Jun-Hyung and Jung Jong-chul's comedic performance and more…All inclusive for only 60,000 KRW. Sheraton Grande Walkerhill announced on the August 25th that it will hold ‘Riverpark Poolside Barbecue Party' to bid the long hot summer farewell. The Party will be a two day fiesta held on September 1st & 2nd. 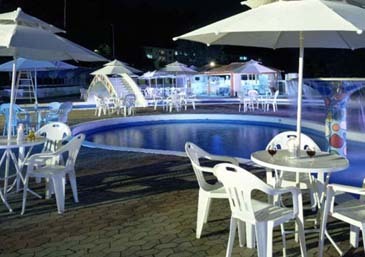 The swimming pool will be open for everyone as many events have been planned to perform in celebration of the farewell. A cocktail show, a performance by the Pavillion Band, and a live performance by the Odyssey Team. With all the excitement don't forget to stop by the poolside buffet and get your fill of unlimited draft beer. Meanwhile, Sheraton Grande Walkerhill will extend its outdoor swimming pool ‘Riverpark' operations for one week longer from August 28th to September 3rd due to the continuously hot weather.